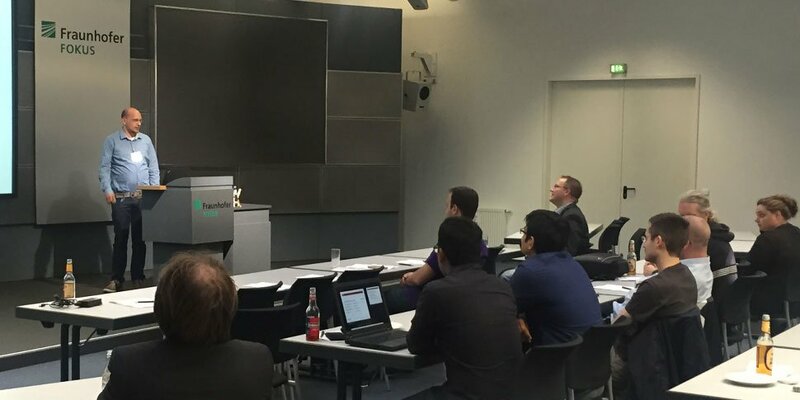 On Tuesday, 16 June 2015, the Eclipse DemoCamp took place at Fraunhofer FOKUS. Participants of the platform discussed latest eclipse-based technologies and projects. Stephan Herrmann of GK Software presented the most recent developments on the topic of "Report on a dying species: Null PointerException – updates from JDT". Mark Brörkens of itemis gave a lecture on IncQuery, a framework that is utilized for Eclipse Modeling projects and has brought significant improvements. Max Bureck of Fraunhofer FOKUS gave a presentation on "Prototyping a Sirius Editor with Sirius".